Mark Dickinson’s first full length collection Tender Geometries was published in 2015. He contributed to The Ground Aslant: An Anthology of Radical Landscape Poetry. 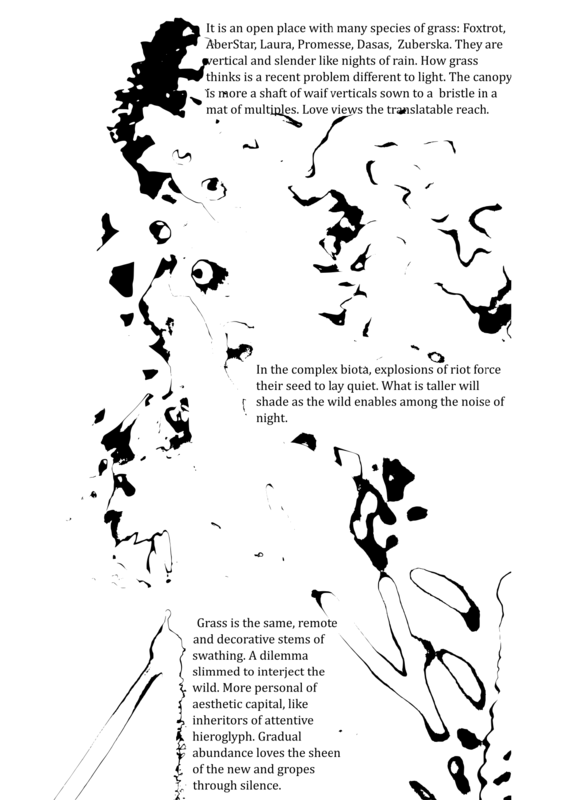 ‘Grass’ is selected from a group of graphic and written compressions or disturbances entitled bit/map. Employed as lead gardener he lives on a croft developing vegetation at the extremes of Oceanicity.